AkzoNobel, BASF, Shell, the Ministry of Economic Affairs, Top Sector Chemistry, the Netherlands Organisation for Scientific Research (NWO) and Utrecht University, the Eindhoven University of Technology and Groningen University today presented their plans for setting up the new Advanced Research Center Chemical Building Blocks Consortium (ARC CBBC). This national research centre will tackle important energy and chemistry issues associated with the g rowing depletion of the finite supply of raw materials. University of Groningen chemistry professor Ben Feringa, together with the Economic Affairs Minister Henk Kamp, revealed the logo for the new research centre. The United Nations predicts that the world population will reach about 9 billion by 2050. The population growth will place a heavy strain on the supply of raw materials, such as oil and metals, and will constitute a challenge for sustainability and for the quality of life in urban areas, where an estimated 70% of the world population will live. Finding solutions is a major challenge, requiring pioneering multidisciplinary research and new partnerships. The government, universities and trade and industry are therefore joining forces in the Advanced Research Center Chemical Building Blocks Consortium. The ARC CBBC brings together the industrial and academic strengths available in the Netherlands in the field of c atalysis, synthesis, macromolecular chemistry and process technology, therefore connecting various areas of interdisciplinary expertise at Dutch knowledge institutions with each other and with trade and industry at a national level. Top academic researchers in various fields of expertise will work closely with trade and industry in this new research centre on sustainable solutions for the medium and long term, such as new chemical processes and building blocks for functional materials, coatings and energy carriers. The parties will not only operate bilaterally, but will also work jointly on innovation in an open partnership. The ever-growing global population creates a major challenge for the world: to find a sustainable solution to the depletion of resources while at the same time continuing to meet the demand for production materials. The ARC CBBC is a national research centre that continues to build on expertise within the “Gravitation” programmes financed by the Dutch Ministry of Education, Culture and Science. 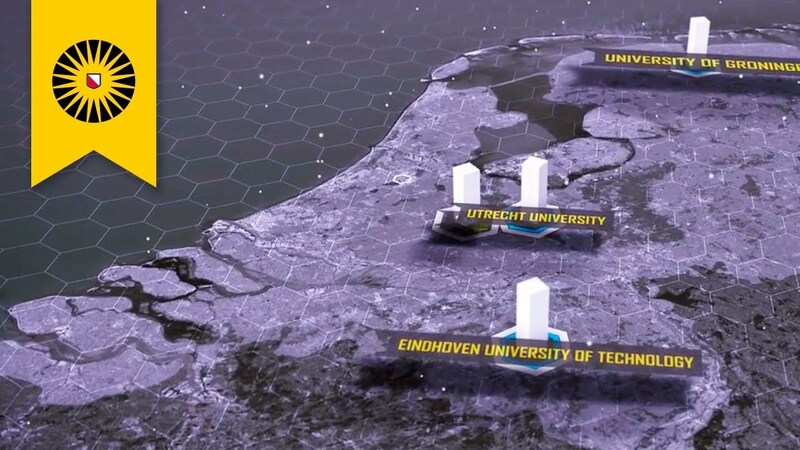 With the ARC CBBC, the partners are contributing to an internationally trend-setting infrastructure for research and innovation in the Netherlands, which will attract top talent from all over the world. The partners will provide further details at the beginning of 2016 on the scale and the specific contributions of the parties involved in this ambitious public-private partnership. The integrated approach to research issues in these programmes, from the atomic, molecular and macromolecular scale via supramolecular structures to the reactor scale, will be expanded in the ARC CBBC in order to tackle challenges on different time and dimensional scales simultaneously. Linking pioneering science with complex industrial issues can lead to the breakthroughs that are needed to sustainably meet demand for energy and materials in the future.